The Rock and Roll Hall of Fame will induct The Cars in April, honoring the legendary band’s incredible musical legacy and enormous commercial success. 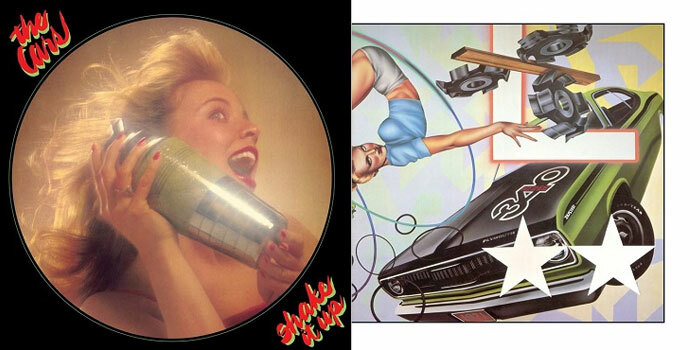 Rhino will kick off the celebration early with expanded editions for two of The Cars’ most iconic albums – Shake It Up and Heartbeat City. Each release features the original album – remastered in 2016 – expanded with rare and unreleased bonus tracks. Illustrated booklets accompany the music and contain liner notes written by renowned rock journalist David Fricke, who details the history of each album with new interviews by band members Ric Ocasek for Heartbeat City and David Robinson for Shake It Up.